Wide range of solar inverters design for centralized photovoltaic plant architectures. 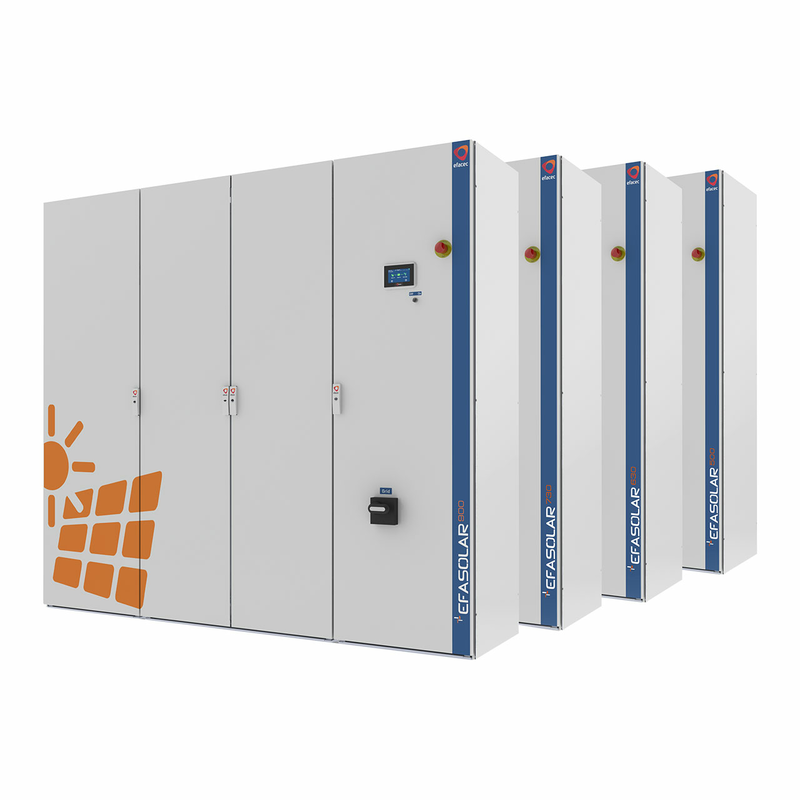 EFASOLAR 500/630/730/900 solar inverters are engineered for large scale power plants with centralized architecture and high reliability and availability requirements. These models are very competitive and represent a major step to assure the investment return.